I am pleased to be part of TLC Book Tour's Rule Tour! Rule is a New Adult Romance and a book that I just couldn't put down! The first Marked Men novel in Jay Crownover’s combustible New Adult series. You know that I am a sucker for a good romance and the more developed the characters are, the faster and easier I lose myself in their world - and Rule is definately a book where I lost myself in the characters and their world. What looked deceptively long, was actually a very quick read for me as I devoured the pages waiting to see what twists and turns would await Shaw and Rule. I don't always love the "New Adult" genre, but I think this book stands with any good romance series that I've read. One thing you may notice is that Amazon has a number of older reviews of this book that state that there are editing issues - that is for a previous, self-published version of Rule and the current version doesn't suffer from any editing problems - which made it a very comfortable read! 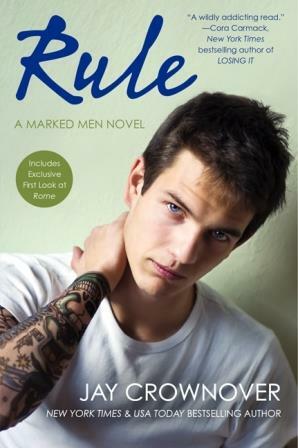 If you are looking for a great, edgy romantic read, then check out Rule! And stay tuned for my review of the next book in the Marked Men series, Jet - in just a few weeks! 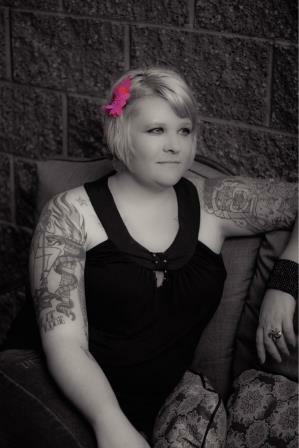 Jay Crownover is the bestselling author of Rule and Jet. Like the characters in her Marked Men series, she is a big fan of tattoos. She loves music and wishes she could be a rock star, but since she has no aptitude for singing or instrument playing, she’ll settle for writing stories that have interesting characters and make the reader feel something. She lives in Colorado with her three dogs. Follow Jay’s musings on her blog and connect with her on Facebook.